Remember when marketing was mainly responsible for managing in-person events, posting new content on the website, developing print materials and online banner ads, sending out batch-and-blast emails, and passing new, “unqualified” leads over to sales? Oh, how times have changed! Early on in my career, a core marketing stack consisted of a departmental productivity tool, email service provider (ESP), Microsoft Word and/or Adobe InCopy, a design tool or two, Microsoft Excel, and a website CMS. These were the biggest technology challenges the marketing team had to deal with. Once we’d finally gotten into a rhythm with our core stack, though, the emergence of marketing technology turned the traditional marketing model on its head, and today we have more than 5,000 different MarTech solutions for marketing departments to choose from. This technology explosion, not to mention big data, has been overwhelming to individual marketers, departments, and even companies as a whole. And it’s created a growing marketing skills gap over time. Not only do we have to figure out which technology to use, we also have to figure out how to use it, who will implement it, and who will manage it. Marketing departments also have to work more cross-functionally with IT, operations, sales, and others across the organization to implement these technologies and achieve their objectives. As a result, most marketing leaders point to organizational structure along with talent acquisition and management as some of their top challenges today. Marketing as a profession has a very high turnover rate, unfortunately, from junior staff all the way to senior management. The average tenure used to be four to five years. Now, one and a half to two years is common, especially for junior team members. Even finding a vice president or CMO who has been with an organization longer than five years is a challenge today. That continuous knowledge drain can cause your marketing team — and your projects — to run in fits and starts. And while the cost of hiring is really expensive, the cost of turnover is even higher. Given the time and resources required for expediting paperwork, role and project transitions, and exit interviews for your outbound employees, and then recruiting, interviewing, and onboarding for your new hires, it’s much more cost-effective and efficient to develop your current team members. A lot of turnover in marketing today happens because people aren’t given a career path. Aside from salary, people leave to advance in their careers, get a promotion, or pursue an actual role change. For example, maybe you hired someone as a junior-level social media manager. Over time it’s important to keep a pulse on whether or not that person wants to continue in that type of role, or if they’re interested in pursuing a different career path. You might just be surprised to learn they’re interested in web development! If you’re not keeping a good pulse on your team’s professional development and career paths, you have the potential to lose a valued member of your team and organization — and someone with valuable institutional knowledge — simply because they weren’t given the opportunity to grow. This is why it’s so important to implement training and development programs. If one of your team members wants to develop a new skillset, grant them the time and support to get a certification or attend a conference, webinar, or even evening classes. And always keep an open, running dialogue with your team members to determine if they’re still happy with what they’re currently doing. Start by identifying the skills you already have on your team and which skills you need by developing a departmental framework that outlines your team’s current and “forward-looking” structure. Include full job descriptions, along with responsibilities, required skills, and each role’s high-level goals to help you easily assess existing gaps and prepare for your department’s future as your team evolves and grows. Budget: You know you need additional expertise, but your team just doesn’t have the funds to currently hire a full-time employee. Planning vs. execution: Your team is really good at strategizing, but lacks the resources, time, or specific skills to successfully execute on that strategy. Digital marketing: Digital marketing is just too broad for one specific role. I’ve seen organizations try to get by with one person, but a single individual will likely not be well versed in web development and Google Analytics and SEO and PPC and so on. If you can only afford one digital marketing role, you may need to look to an outside organization for assistance and broader expertise. Expertise: Your marketing department has a high-priority initiative — such as implementing a lead management framework or lead scoring model — without the necessary experience on your team. Staff coverage: When team members go on vacation, unexpectedly take time off, or leave the company, you experience operational disruptions and often miss deadlines. Getting to the next level: You have some key infrastructure and frameworks in place, but your results have plateaued and no one on your team can take it to the next level. There’s a lot to accomplish in marketing today, from lead management and website design to content creation and social media. It’s more important than ever to ensure your organizational structure is aligned and setup for success so you can accomplish your departmental and organizational goals. As with so many things in life, we can’t always accomplish everything we’d like or fill every skills gap on our team. At times it simply comes down to a lack of money, resources, or time — and sometimes all three at once. 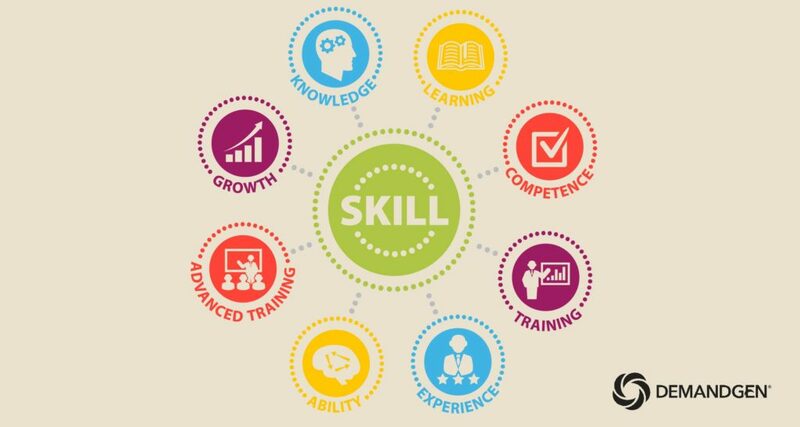 If your marketing department is facing one or more of the above skills gap scenarios though, it’s probably time to ask for help! At DemandGen, our experts are knowledgeable across several marketing disciplines — from MarTech implementations and integrations to campaign execution services and reporting and analytics — and we pride ourselves on supplementing our clients’ marketing teams so that they can meet their objectives and be marketing heroes at their organizations. Sometimes all it takes is some outside assistance and insight to close the skills gap and keep your marketing initiatives running full steam ahead. Let us know how we can help. 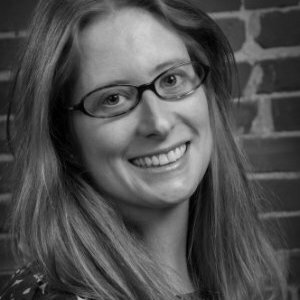 As Marketing Operations Manager, Sabrina Killian manages DemandGen’s demand funnel, marketing technology stack, demand center, enablement, and more to drive demand, meet key business objectives, measure marketing’s efficiency and effectiveness, optimize conversions, and increase lead acquisition and customer lifetime value.